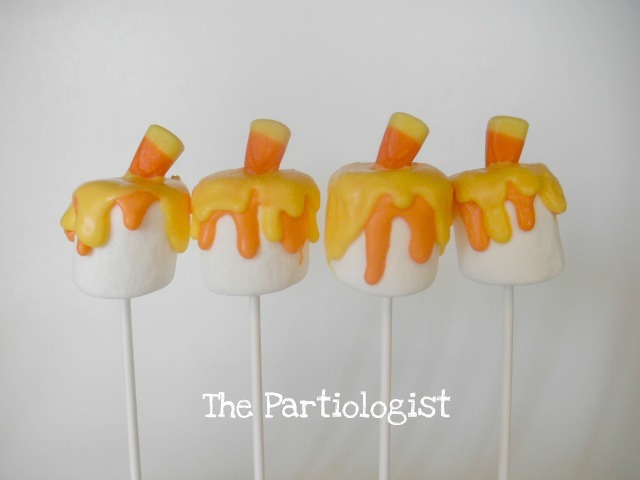 The Partiologist: Candy Corn Candy! I had better get to posting the rest of the fun I've had with Candy Corn. 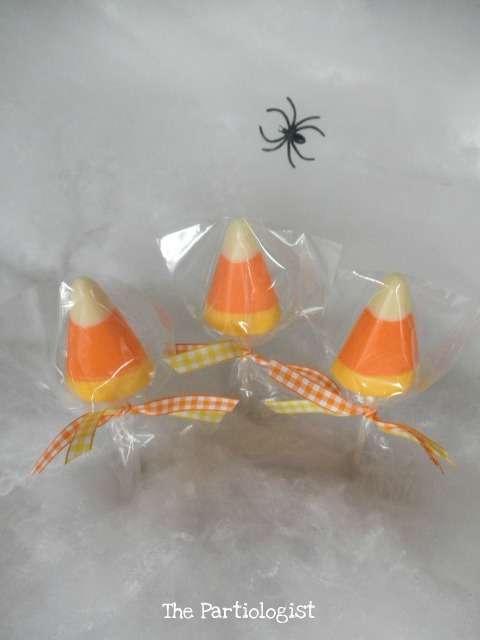 I found some yellow, white and orange candy melts, so that got me thinking about making some candy corn suckers. 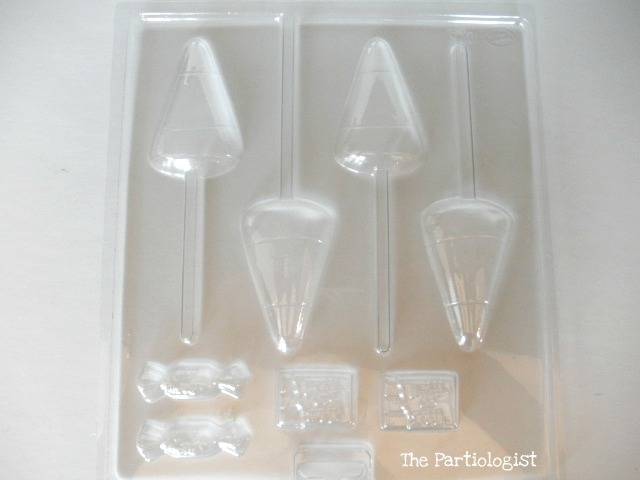 I found a chocolate mold for the suckers. Melted the candy and piped each color in the right spot. Oops, I got so involved in getting it just right, I forgot to take a photo of it in the mold. I bet you didn't know that Candy Corn isn't always so innocent? I really got a kick out of these! Attack of the Candy Corn. 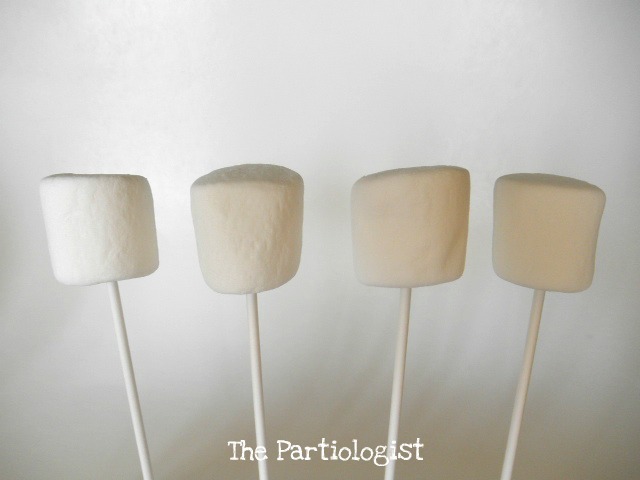 I started with marshmallows, candy melts and candy corn. 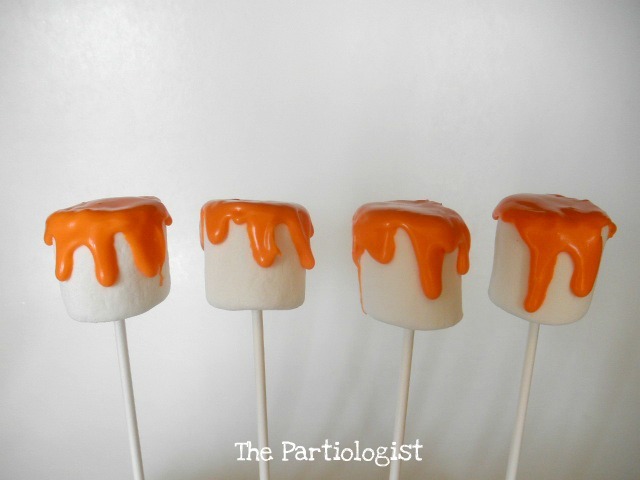 Put them on sticks and piped some (melted) orange candy melts on the marshmallow, letting it drip down the sides. Then I piped some yellow candy melts on top of the orange. And stuck in a candy corn before it hardened. Then I packaged them up with some cute little tags. Yep, I've got more candy corny ideas to share....So don't go far! Both of those ideas turned out great! Nice job! What a great idea!! All I have to do is get hold of some candy corn (not easy to come by down under)! Great blog by the way!! Just when I think you couldn't possibly come up with any other ideas for candy corn! Impressive, my creative friend! Cheeron! 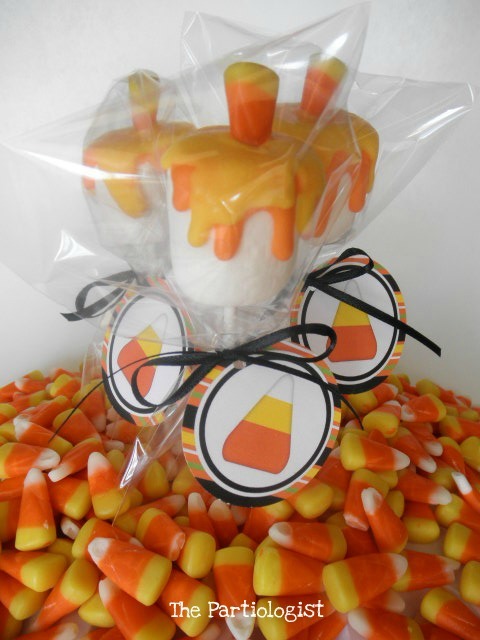 Love your candy corn treats! Love both of these ideas, but especially the marshmallows! Thanks for sharing! Ok...now these are just so much fun!!! Looks so good and fun for the kids! These candies are fantastic! 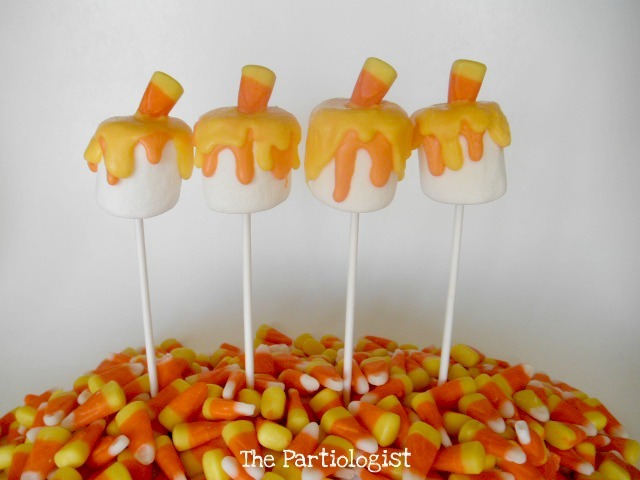 I'd love it if you linked your candy corn project to my Candy Corn Roundup post.